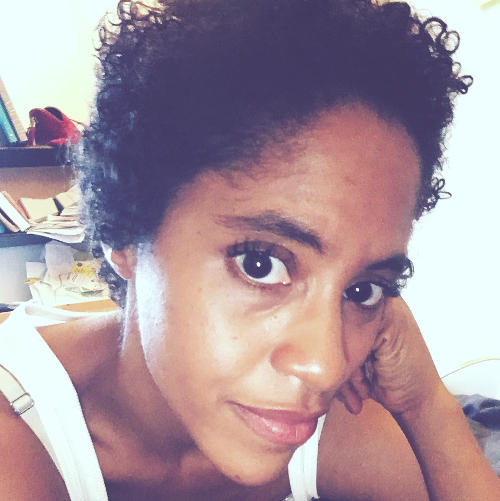 Bianca Frisby is a poet and filmmaker based in Washington, DC. Diagnosed with multiple sclerosis in 2015, she left her career in public health to heal at home. She loves baby hippo videos, green juice, and spending time with the love of her life, Kaiya. I lie in bed most days. My daughter takes shape in me, begins to collect below my ribs. She holds up her small hand like she is the Virgin. Her mouth opens and closes though no words come out. even though there is nothing left to bless. I hover between life and death. Her beckoning attaches me to the earth. Her body is an incantation: I am blood. I am her broken reed.